Luke 23:34 (Part of the Five Marks of a Christian series). 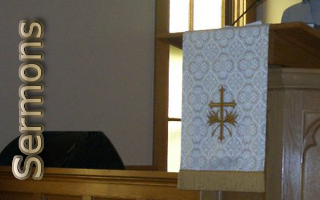 Preached by Pastor Jon Truax on September 24, 2017 (Sunday Morning). Is the Gospel Still Relevant Today? Luke 3:1-20 (Part of the General series). Preached by Pastor Jon Truax on July 9, 2017 (Sunday Morning). Luke 15:11-32 (Part of the General series). Preached by Pastor Jon Truax on May 7, 2017 (Sunday Morning). Preached by Pastor Jon Truax on December 18, 2016 (Sunday Morning). Preached by Pastor Jon Truax on December 11, 2016 (Sunday Morning). Luke 1:5-38 (Part of the General series). Preached by Pastor Joshua Smith on November 27, 2016 (Sunday Morning). Luke 18:1-8 (Part of the Questions Jesus Asked series). Preached by Pastor Jon Truax on October 16, 2016 (Sunday Morning). Luke 8:40-48 (Part of the Questions Jesus Asked series). Preached by Pastor Jon Truax on October 9, 2016 (Sunday Morning). Luke 9:18-20 (Part of the Questions Jesus Asked series). Preached by Pastor Jon Truax on October 2, 2016 (Sunday Morning). Luke 8:4-15 (Part of the Spiritual Growth series). Preached by Pastor Jon Truax on April 10, 2016 (Sunday Morning).